Gore offers a wide variety of high-speed copper and fiber optic solutions that support the latest open-source architectures and standardized protocols, such as Ethernet, Fiber Optics Simplex, USB, HDMI and more. They deliver lifelong performance in small, lightweight, flexible and routable designs. All of our cables have undergone substantial qualification testing to ensure they meet the stringent specifications of current civil and military standards and customer requirements. 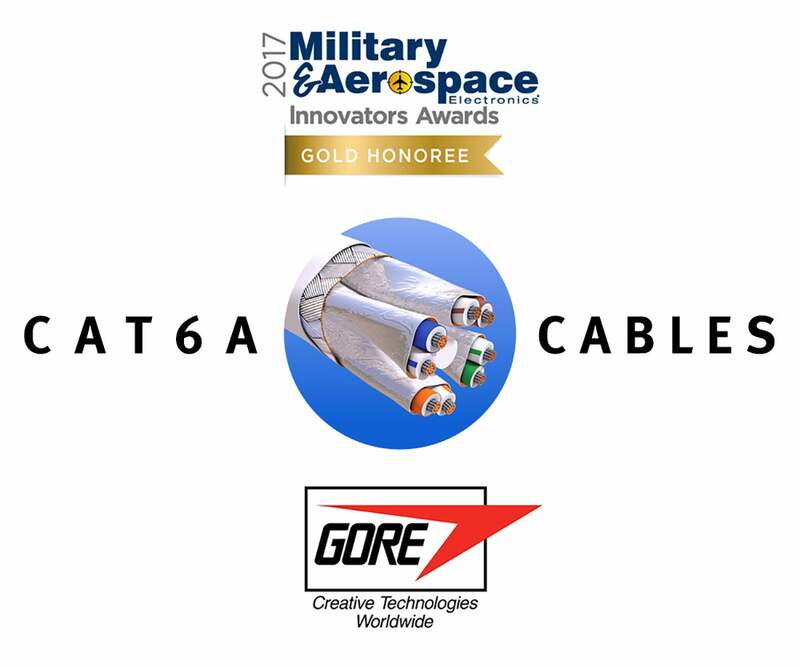 For example, GORE Aerospace Ethernet Cables for Cat6a protocol meet and even exceed industry requirements. 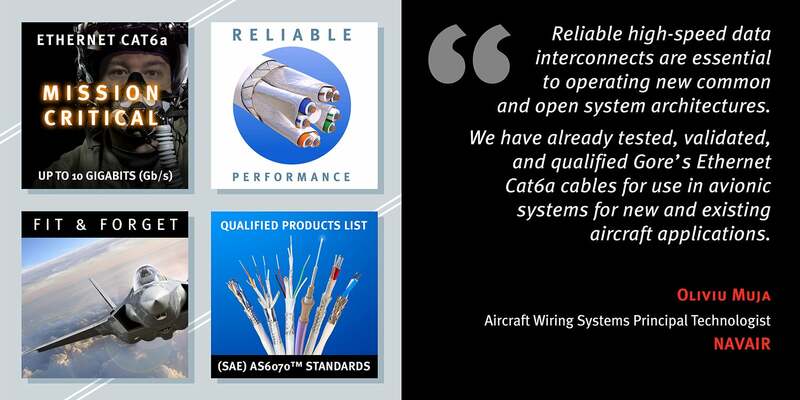 Our award-winning Cat6a version is approved to the Society for Automotive and Aerospace Engineers (SAE) AS6070™ standards and on the Qualified Products List (QPL). This new industry standard supports the AS50881 EWIS (electrical wiring interconnection systems) specification for high-speed data cables. Complimentary samples of Gore's pre-qualified high data rate cables are available with short lead times and can be shipped within two (2) business days from the date of the request. Fill out the form below to receive your sample, or contact a Gore representative regarding available materials for your sample, prototype and small production requirements. For more information about our high data rate solutions for Spaceflight Programs, visit GORE Space Cables for Dataline applications. IMPORTANT! Samples are provided based on alignment to Civil and Military Aerospace Programs only. International requests may be limited due to additional documentation required to cover duties and importation requirements. If you choose to receive a complimentary sample of Gore's standard high data rate cables, we'll share your contact information with the authorized distributor of our cables. By providing personal data to us, you agree to Gore's use and sharing of your personal data.